The versatility of the cabin is highlighted by the easily configurable optional seven-seat layout and plentiful stowage, with clever use of space and refined comfort. 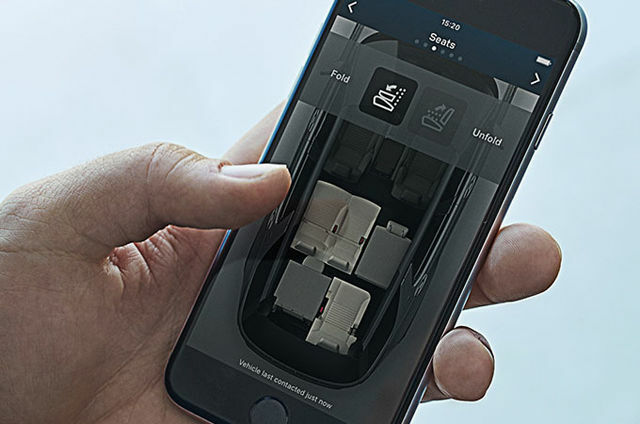 Intelligent seat Fold allows you to configure the second and third row seating using switches located in the loadspace, on the main Touchscreen or even remotely via your smartphone. The very latest vehicle and infotainment technologies have been incorporated to deliver the highest levels of capability, connectivity and information. From the choice of Meridian™ audio systems to innovations such as InControl Touch Pro, and a suite of ingenious driving, parking and towing aids, there’s a world at your fingertips. Discovery not only looks truly at home in the city, but also drives impeccably off-road. It takes towing capability to a new level, with a capacity of up to 3.500kg and a suite of features available to help make towing effortless and assured. Whilst, its optimised geometry coupled with unique Land Rover technologies ensure it delivers class-leading all-terrain capabilities. 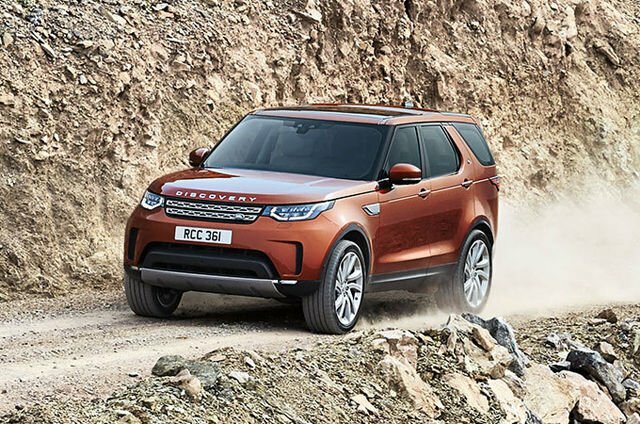 The distinctive roof and feature lines rising towards the rear of the vehicle give Discovery an assertive, recognisable stance that is further enhanced by the front and rear design graphics. Sophisticated and urbane, Discovery epitomises the most compelling modern British designs. Whatever your plans, and dependent on your choice of seating options, Discovery’s generous interior is configurable to suit almost any use - with over 2,000 litres of space behind the first row, 926 litres of space behind the second row and independent folding of both rows. 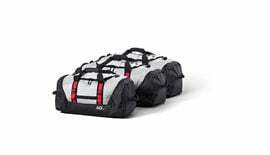 Discovery features a powered inner tailgate, which when deployed, can provide a platform for use at social and sporting events coupled with greater protection from the elements. This platform also allows for easier loading and acts as a retainer when the loadspace area is filled. Powered gesture tailgate is an option that allows you to operate the tailgate (both to open and close) from outside the vehicle without needing to physically touch the vehicle or the key fob. Provided that the key fob is detected, the tailgate can be operated by a kicking gesture underneath the sensors on either side of the tailgate. 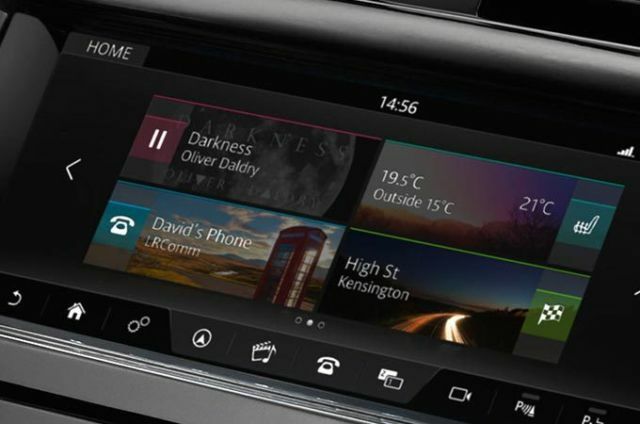 Touch Pro advances Discovery’s connectivity and entertainment to the very best level on HSE and HSE Luxury models, with a 10” HD Touchscreen display fitted. It has a clean and contemporary design with engaging visual and audio experiences, including ‘plug and play’ using the USB ports, which act as additional storage for movies and music and charging points for multiple devices. Some adventure need added extras. Discovery’s towing capacity of up to 3.500kg, is supported by a suite of features to ensure towing a heavy load is as effortless and sure a you would expect in a Land Rover. Discovery comes with an impressive choice of diesel and petrol engines, each one delivering effortless performance, refinement and efficiency. A range which includes the latest generation, high efficiency 3.0 litre Turbocharged Diesel engine, Ingenium diesel engines, and the V6 Supercharged 340PS Petrol engine which maximises power delivery.